Whether it’s your parents, siblings, or extended family members, occasional arguments will happen, and they’re completely normal. But if they become a frequent occurrence that puts a damper on most holiday dinners or other family gatherings, then it might be worth speaking to a family therapist. To learn more about the common family roadblocks, here are some of the most common things that family members fight about. Money is one of the most common sources for provoking arguments. Borrowing money from mom and dad, stressing about not having enough, and balancing out the costs of sending your kids to camp or hockey, are all stressful scenarios that can often incite tension and heated debates. 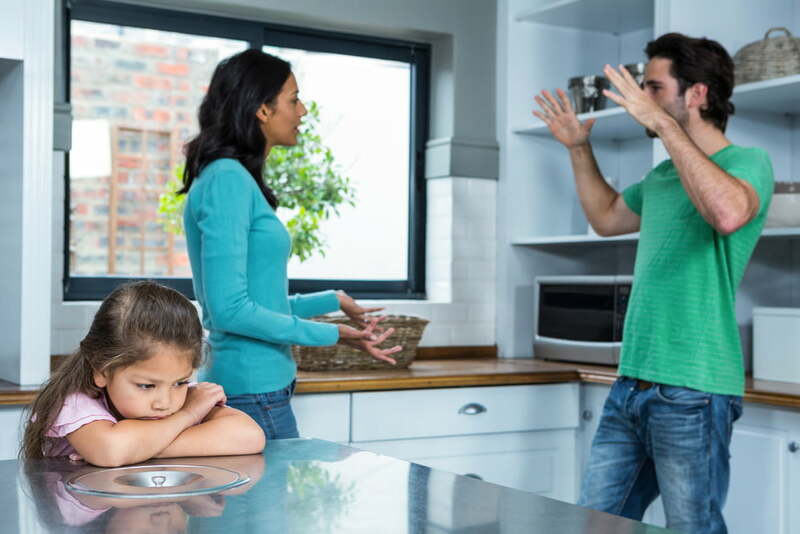 Household chores can easily set off tempers too when your kids are arguing about whose turn it is to take out the garage, wash the dishes, or perform other duties around the home. It can also be a factor when parents have to fight with their kids to do their chores consistently. This is especially true if you have kids who tend to treat your home like a hotel. Believe it or not, figuring out what to watch on TV (or Netflix) is another common thing that family members fight about frequently. Your spouse wants to watch sports all night, meanwhile, you were looking forward to catching up on your favourite show. Sound familiar? If so, you’re not alone. Many of us are guilty of spending too much time focusing on our mobile devices and not enough time paying attention to those we love. And with so much time consumed by our electronics, it can cause frustrations to mount when it comes to spending more quality time together as a family. So what can you do to reduce or eliminate these common things that cause frequent arguments in your family? Rather than react, try to pause and listen to each other and approach each situation in a manner that hears both sides. If this develops into a more serious issue with any solution in sight, consider talking to a family therapist. At Vaughan Relationship Centre, we offer a safe and comfortable environment where you and your family can share what you’re feeling and get the professional support and guidance you need to improve how you communicate. To learn more about our counselling services and how they can benefit your family dynamics, reach out to us today.